I first met Rob in Kona (where else?) in 2013 over a coffee. He is almost as passionate about coffee as he is Triathlons! A year or so later, I’d just about given up the idea of doing another Ironman – Never say Never! However, at the beginning of ’17, I was feeling overweight & unfit & felt I needed something to get back ‘healthy’. 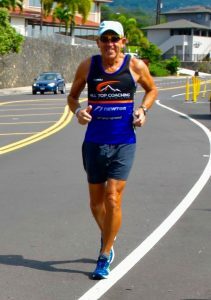 I approached Rob who had become a friend to see if he would help me out as having done 7 IM’s including 2 Kona’s, I needed a new approach & some motivation. He agreed & we hatched a plan. I would do Port Macquarie 70.3 in early May & then Cairns early June. This was end January so I didn’t give him much time. He was brilliant; didn’t rush it; plenty of recovery time & not over-doing it. I was lucky enough to win both: Cairns in an Age Group record & the coveted Kona ‘Slot’. Unfortunately, Kona didn’t go so well as nursing a dicky shoulder. However, with a lot of encouragement from Rob managed to get the Finish. He has always been approachable, understanding & very knowledgeable. 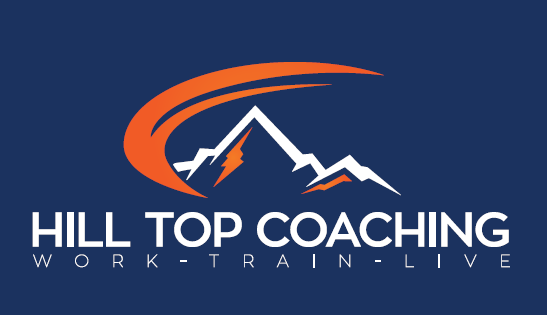 Rob Hill (Hill Top Coaching) did an amazing job giving me focus and tailored structure that catered to my needs and circumstances. 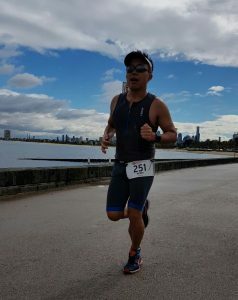 I had hit a plateau when my last half iron was not a PB (I stopped improving, I was not happy and needed help). I set a segment PB on the bike in conditions I rarely experienced and absolutely demolished the running segment PB (and blue skies greeted me briefly). Had a technical problem with water getting into my wetsuit coupled with the conditions meant I didn’t achieve a swimming PB (set on a perfectly calm day in Geelong), which was prob my only disappointment. However I felt fresh coming out of the water, as per strategy. 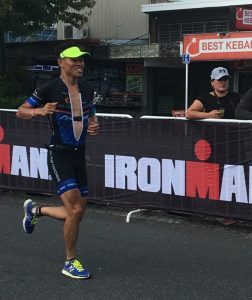 If you want to take triathlon event seriously or even learn the sport, I highly recommend Rob, an age group category Ironman champion with extensive experience in helping people reach their potential. I have worked with Rob since Feb 2014 since then I have completed 6 Ironman 70.3 races. Rob has a real passion for coaching and getting the most out of his athletes. He also creates a programme tailored to you, taking into account your other commitments be it family, work, injuries, holidays, etc. I would recommend Rob if you are looking to advance your development in triathlon and endurance sports.